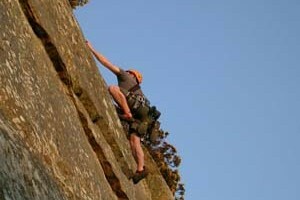 We are a walking and rock climbing club based in the Wicklow and Dublin mountains. 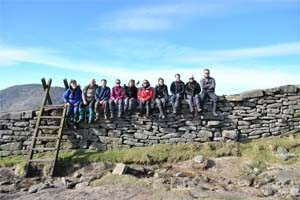 We have scheduled walks each Sunday and also organised regular weekends away. 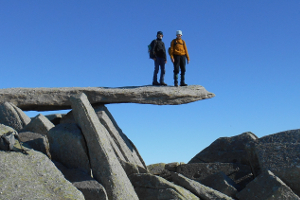 Club Cualann is open for membership and welcomes new members. Please explore our website to find out more or join us for one of our weekly walks. 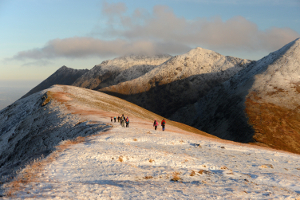 A typical hill walk is of 4 to 5 hours duration across untracked mountain terrain. We also organise a "Welcome Walk" every month which is shorter and has less ascent than our regular walks and so suited to beginners. Consult our New Members page for advice on what to wear and what you need to bring. Remember the weather on Irish mountains can be severe and extremely changeable and you must dress accordingly.